Memorial services for Carole Roettele, 84, of Groton will be 10:30 a.m., Saturday, October 6th at Paetznick-Garness Funeral Chapel, Groton. Rev. Lloyd Redhage will officiate. Inurnment will follow in Union Cemetery, Groton under the direction of Paetznick-Garness Funeral Chapel, Groton. Visitation will be held at the chapel on Saturday beginning at 9:00 a.m.
Carole passed away October 3, 2018 at Sun Dial Manor, Bristol. Carole Ann was born on August 20, 1934 in Andover to Alfred and Doris (Mallett). She attended school in Verdon and Conde. Carole spent many years in Washington and Oregon. She then moved to Henagar, Alabama where she met Marty Brinson and resided there with him until his death. Carole moved to Groton in 2009 and later to the assisted living in Bristol. From there, she entered Sun Dial Manor and resided there until her death. 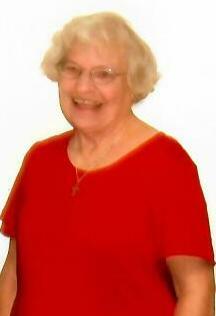 Carole was a member of St. Paul’s Lutheran Church, Ferney. She enjoyed crocheting, baking and sewing. Celebrating her life through memories is her sister, Vivian Dobberpuhl of Conde, Cousin, Ben Mallett of Chelsea, SD, her nieces and nephews, Valerie Baker of Groton, Landal (Michelle) Leonhardt of Aberdeen, Yvonne Lorenz of Groton, Roni (Kathy) Dobberpuhl of Conde and many great and great-great nieces and nephews. Preceding her in death were her parents, brother-in-law, Harlow Dobberpuhl, Uncle, Harold Mallett, Aunt, Alys Voss and Cousins, Robert and Richard Mallett. Honorary Urn Bearers will be Landal Leonhardt, Ronald Dobberpuhl, Ben Mallett, Thomas Pigors, Richard Sanderson and Gerald Bonn.